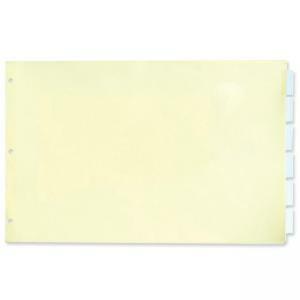 Index dividers are tabbed and sized to fit 8-1/2" x 14" landscape paper in legal binders. Each divider is three hole-punched, and the holes are reinforced. 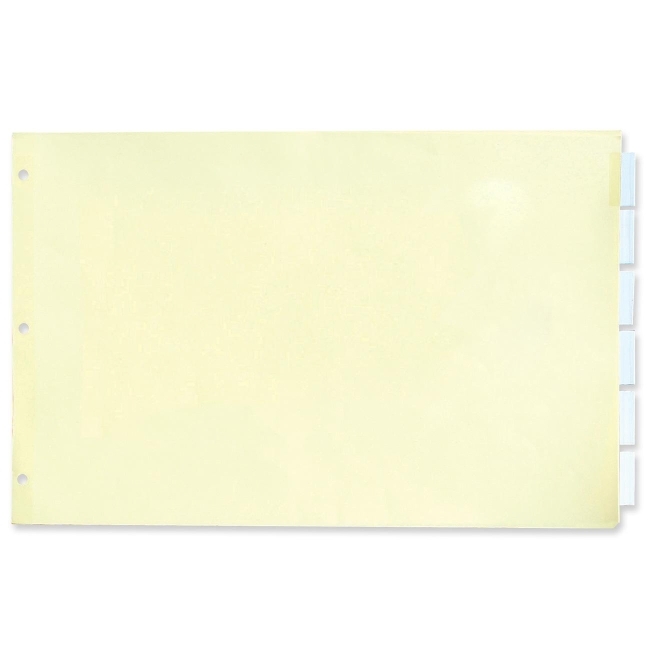 Dividers are made with 30 percent post-consumer recycled material.